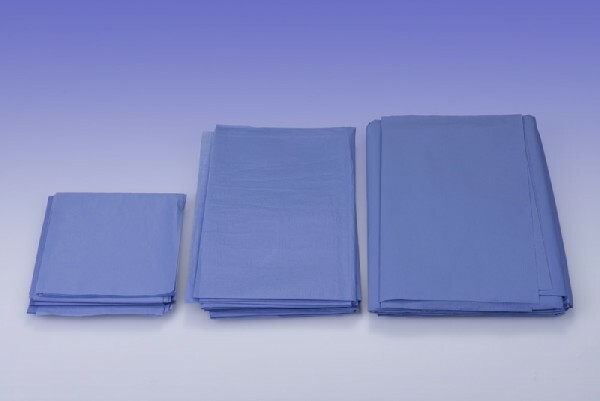 Surgical drapes have been designed for the protection of both the operatory and the patient. We manufacture drapes in a number of fabrics and dimensions in order to be able to meet the different needs of the medical staff using them. Our range includes drapes in two-layer non-woven fabric and Softesse®, with dimensions ranging from the smallest drape, 19.7” x 19.7” to the largest 52.4”x78.8”. Softesse® drapes are fluid-repellent and they guarantee a high barrier effect. Two-layer non-woven fabric drapes have one absorbent layer and one liquid proof layer ensuring quick absorption of body fluids without being detrimental to the structure and barrier effect of the waterproof layer.